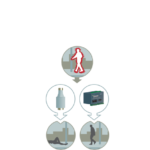 The iFuse is an intelligent cable protection and management system. It provides optimal protection of people, animals and equipment against electrical malfunction. It is specially designed for applications with long power line cables with distributed users (e.g. lamps) over the complete length of the cable, for instance a public lighting application. For more info about the iFuse, please click on the tabs below. Due to the application of modern techniques and a twosome of safety protocols, the iFuse only requires a power cable with half the cross section (over the full tracing length) compared to a normal fuse, without making concessions in respect of safety, sustainability, reliability and initial and maintenance costs. Hereby, the iFuse is able to meet all applying requirements, for example IEC 60364. The iFuse results into lower initial costs during construction in respect to regular circuit breakers or electrical fuses. Short circuits: the iFuse protects an installation against short circuits by allowing only low short circuit currents (about 2x the regular current). The power cables require only 50% of the regular cable diameter with respect to installations with regular fuses. Over current: the iFuse protects an installation against a relative small increase in the actual current. Risk of electric shocks: According to IEC 60364 the installation always requires a contact voltage lower than 50 Volts. The iFuse is, in contradiction to most conventional securities, able to meet this requirement. Earth leakage: The protection can interrupt an earth fault on one or two phases with keeping the other phases unaffected. This means that a residual current to the earth or grounded metal parts of the installation does not interrupt the complete installation, but only the disturbing phases. For public lighting, this means that unnecessary power failures can be prevented. The iFuse is designed for the heaviest loaded phase, and has the same protection value for all phases. An option is to adjust the load of every phase. In addition to that, a load protection characteristic per phase during the first five seconds can be programmed, regardless whether these characteristics are from an installation machine, or the startup cycle from a pump. Impleo aims to provide total solutions instead of delivering a single product. Therefore we are also involved in cable calculations. The IEC 60364 specifies requirements for electrical outdoor installations. An important aspect is the right choice of applied materials, including power cables. A wrongly chosen cable could introduce large difficulties, such as a risk of fire. In addition to that, over-dimensioning can be prevented which leads to large savings of material costs. Due to the large amount of factors, a correct cable calculation seems to be an intensive task. The first step is to choose the correct protection system. According to the standard, a conventional protection device requires a trip current that contains 5-6x the nominal current for switching the system off on time. 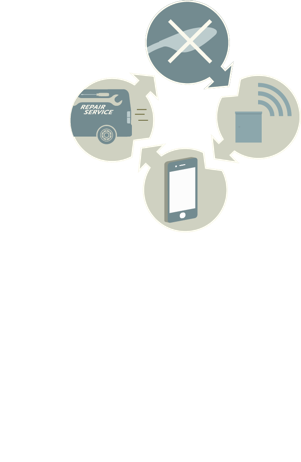 The electronic protection device (iFuse) deviates from this principle. 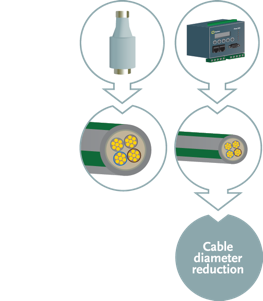 For the iFuse, the trip current can be 2x the nominal current which results in a significant reduction in the required cable diameter. Impleo uses specific software for performing cable calculations. If you have any questions regarding cable calculations, please don't hesitate to contact us. When is an iFuse useful? The iFuse is useful for installing and protecting own cable networks, with relative low power values and long cable lengths. The iFuse can be used in new and existing installations. An example of this are public lighting installations. With an iFuse, both initial and maintenance costs can be saved. 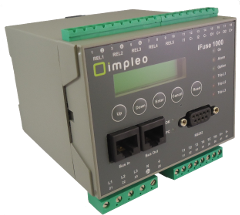 For a complete system (include cables, power nodes) we advice you to contact Impleo. We believe our advice should meet your wishes as good as possible, and every project requires a custom-made solution. 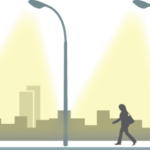 For example when dynamic street lighting is opted, or a combination with conventional fuses is desired. Does the iFuse meet the requirements as set in the IEC 60364? The iFuse is tested on many requirements as set in the IEC 60364. For this, the iFuse is configured for a maximum contact voltage of 50 Volts. This eliminates the risk of electric shocks. Next to that, the iFuse is equipped with a configurable earth fault measurement. The iFuse is tested on many requirements as set in the IEC 60364. The iFuse is certified by the Dekra (KEMA) authority. More iFuse information can be requested here. You will receive the requested information after entering your name and email. You can request the iFuse software here. You will receive the software after entering your name and email.